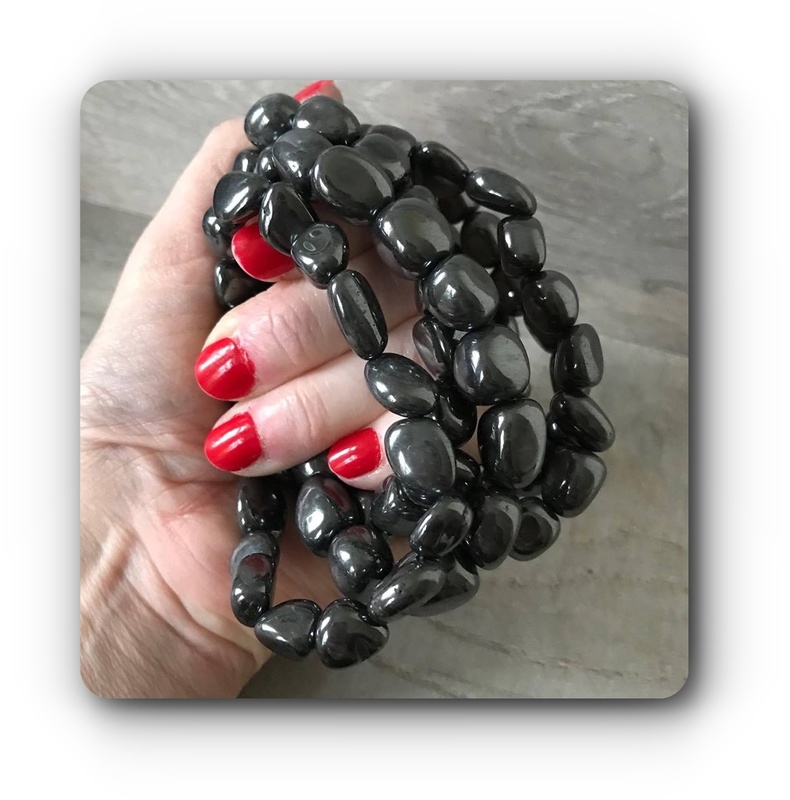 Hematite is said to be effective in healing pain, it maintains the charge of nerve cells. Magnetic hematite will also regulate the blood flow in the body. It is also used to help relieve headaches and anaemia, boost self esteem, help with addictions, insomnia and balance your emotions. On an elastic strap, so these will fit most.